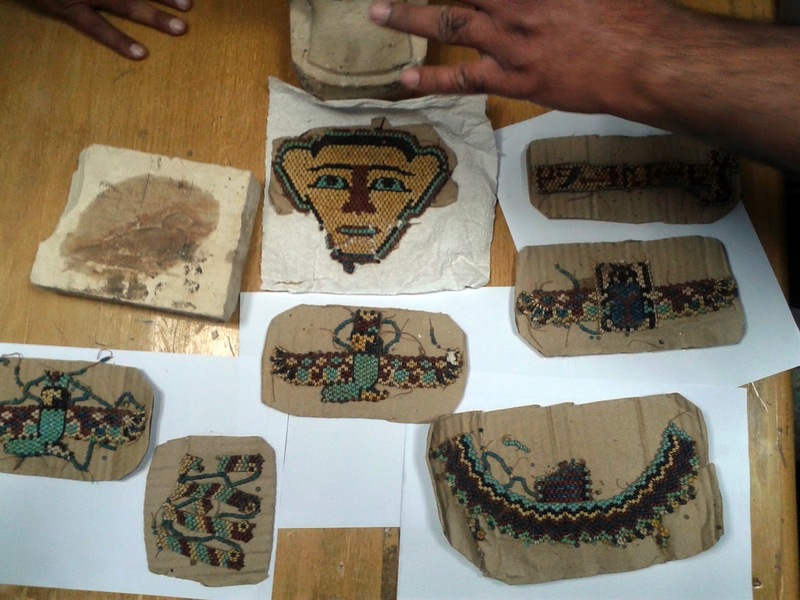 Dr. Mohamed Ibrahim, Minister of Antiquities said that the Ministry of Antiquities in cooperation with the customs at Express Mail Service in Attaba (Cairo) aborted am attempt to smuggle ancient Egyptian antiquities. The mail service personnel noticed the heavy weight of a package were to be sent to Switzerland. 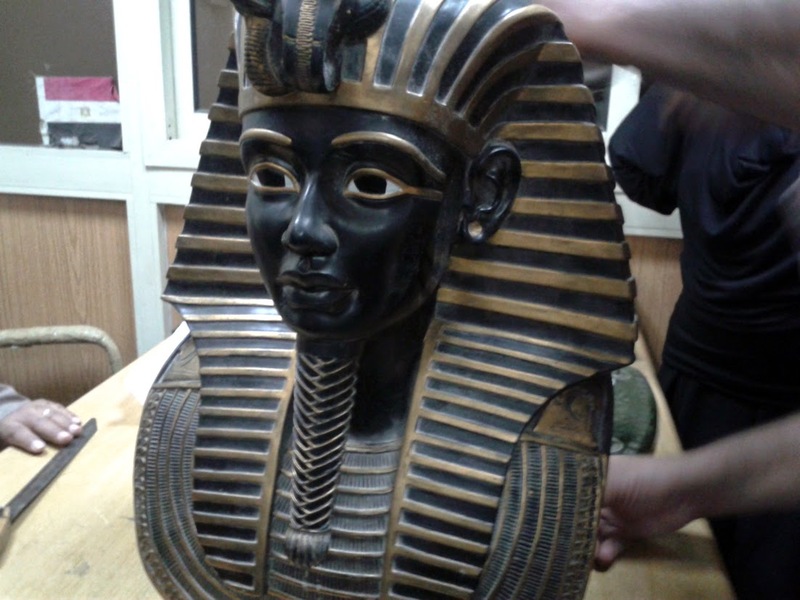 The package was supposed to contain a copy of King Tutankhamun's famous mask but the weight made them suspicious so after X-ray the package they decided to form a committee to check what's inside the mask. It turned out to be a statue measures 30cm height and 14cm width beside 7 beads amulets which were all proven authenticity. The objected are confiscated and more checks to be done to determine which era they belong to.